The real estate business is not for everyone. Between the rising and falling of the market, various buyer behaviors, and the competition, it is a demanding career. But, it is often even more rewarding. You just have to make the market work in your favor. If you are a new real estate agent, understand this will take some time. Building a strong career doesn't happen overnight. Luckily, there are some tips you can use to gain momentum from the get-go. 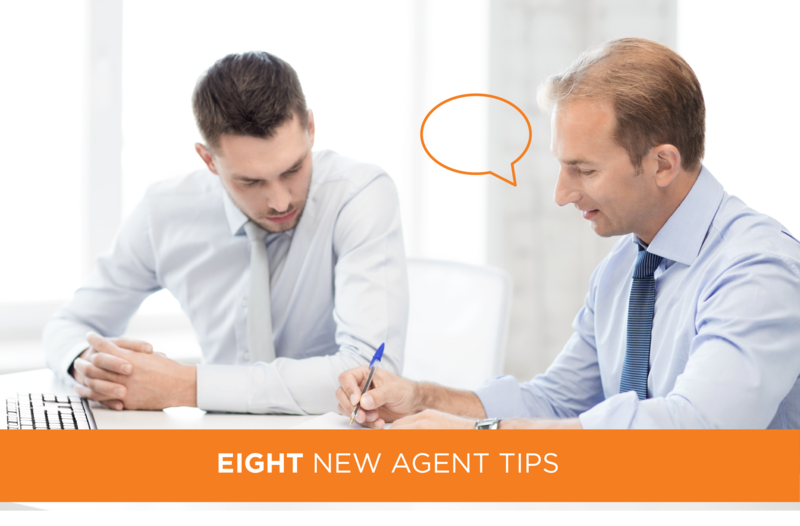 Here are eight things to keep in mind as a new real estate agent. Getting your real estate license is only the beginning of your professional journey. Next, it's time to find a firm or agency to work for. This is the company that will help you find listings and clients. They will support you through your first sale and give you the credibility to establish relationships with banks. Such connections will come in handy when you need to negotiate initial offers and mortgage rates. Clearly, you need a firm to do well as a new real estate agent. But, you can't just work for the first firm willing to hire you! Take your time to find the right fit. This will be a place where your values and the values of the company align. You will feel welcome and appreciated - two things necessary to build your confidence in this business. There is value in building confidence, but this is best done when you continue to improve your skills. A mentor can help you make sure you are on the journey to success as a new real estate agent. This is someone you can turn to for anything and everything market-related. You can have them talk you through a complex deal or check in with this person to brush up on basic skills. More so, make the time to learn from the experiences this person has already had. Use the wisdom they've gained over the years to guide how you approach your first few years working in real estate. Speaking of gaining wisdom, why not learn as much as you can from as many people as you can? That is the purpose of attending a real estate conference. Conferences are where the best of the best come together to share ideas and strategies. This is your time to hear success stories from top-level real estate agents. Such events are also a chance to expand your network. Remember, as a new real estate agent, you are not alone. There are many other fresh professionals among you looking to build their career as well. It is in everyone's best interest for you all to work together and build each other up rather than to get caught up in competition. If you are particularly worried about operating in a competitive market, pick your focus sooner rather than later. Your real estate niche can be one of many things. It may be choosing to specialize in helping buyers versus sellers. It might be working with a certain kind of property - like townhomes, new homes, farmland, or development areas. Your niche could even be the kind of clients you want to work with. Two of the most lucrative niches are FSBOs and Expired listings. And here at Landvoice, we can provide you with the contact information for the FSBOs and expireds in your area. Once you define your niche, you have to make your presence in this area of the market known. Start building a marketing strategy. Don't spend too much money off the bat. But, keep in mind you can't afford to put marketing on the backburner, either. Try some grassroots strategies to get started. Build your social media presence. Try blogging and engaging in your community, too. Do all of this with your ideal buyer or seller in mind. This is someone with a specific level of income and disposable spending. They are looking for a certain size of property, and may be single, newlyweds, or even parents. One way to boost your marketing efforts is to use lead generation. You may not think much of this strategy as a new real estate agent. However, the sooner you start using it, the better. Lead generation is the process of turning simple interactions into lasting client connections. This is how you expand your marketing reach even further. Lead generation can get you in front of more potential clients in a more genuine, relatable manner. Landvoice is the industry leader in providing agents with accurate leads including FSBOs, Expireds, Pre-foreclosures, and Old Expireds. We even have other tools such as Neighborhood Search that will provide you with the contact information for all the homeowners in your area so you can grow your geo farm. No matter the kind of client you end up interacting with, always treat each deal with the same level of respect and professionalism. Don't work for the commission you are getting each time. Instead, work for the reputation you are trying to build as a new real estate agent. Give each client the same amount of care and attention to detail they deserve. Start developing a unique style as you consult clients, show properties, and negotiate. This will help you be consistent every time you take on a new deal. Because it is just one part of being ethical. Being an ethical real estate agent means knowing how to treat each client. It means the level of respect across the board mentioned above. But, it also means much more. An ethical real estate agent is one who is not afraid to point out the red flags of a property or deal. He or she wants the buyer or seller to be as educated about their situation as possible. As helpful as they are, the above concepts are only the beginning. Use them to get your real estate career off on the right foot. From there, keep expanding your knowledge of the market. There is always a chance to brush up on your skills and stay updated. In fact, you can click here to learn more real estate tips and tricks.